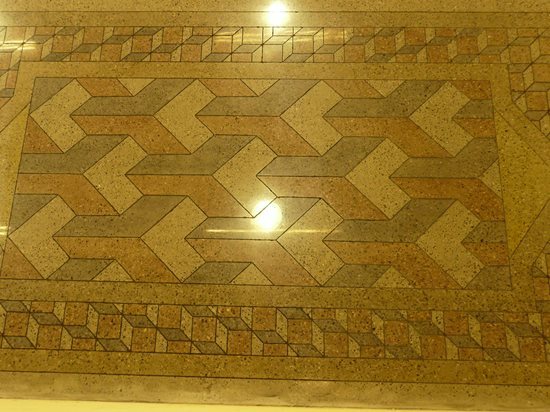 A polished floor that was score cut, dyed, densified and then burnished using Polish Guard. 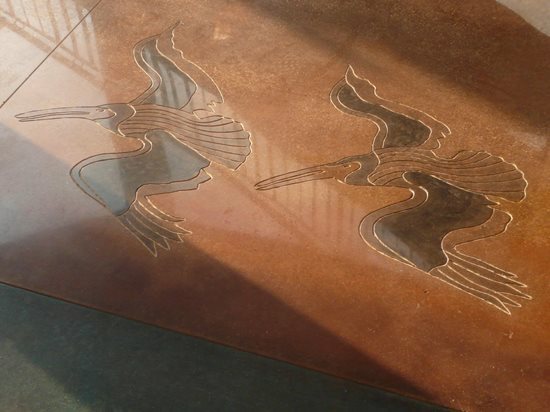 Densified polished concrete with custom sawcut graphics. For someone just starting out in the concrete polishing business, and even for some seasoned veterans, densifiers (aka chemical hardeners) can be a confusing topic. To help offer some clarity, here is my perspective, along with insights from a few other seasoned concrete pros. I remember when my friend and colleague, Clif Rawlings, and I presented the first-ever seminar on polished concrete at the 2005 World of Concrete in Las Vegas. Of course, densifiers were discussed. The room was packed to capacity with over 550 attendees, which was a testament to the popularity of the developing market of polished concrete. At WOC seminars, it is mandatory that the speakers present their material in an unbiased format, not promoting themselves or any particular product. A portion of my talk included sharing jobsite experiences involving projects where we used lithium-based densifiers, and I made sure not to product names. At the conclusion of the seminar, we were flooded with questions, including one from a rather pesky attendee who proceeded to read me the riot act, wondering why I barely discussed other types of densifiers and letting me know of the incredible track record of these other products. It all made sense when she handed me her business card. She worked for a large chemical supplier with its own brand of densifiers. I learned a valuable lesson: You can't please everyone, and there are plenty of different types of densifiers to choose from. Read more articles by Bob Harris. Densifier Special Buy 1 Five Gal Pail - Get 1 at 1/2 Price! Extend Diamond Life Diamond Clean: Cleans diamond pads and keeps them performing longer.